June 12, 15, 16, 2015 marked the 9th year of the Pen Pal Gatherings. 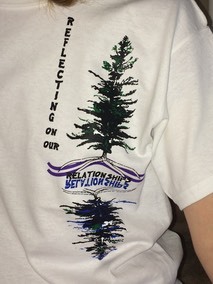 Over 1300 Pen Pals came together to meet and explore the theme -Reflecting On Our Relationships! 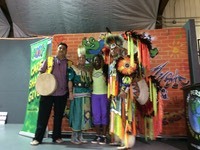 Special thank you to Darren Thomas, Saidat, K.Z., and Tribal Vision for a fantastic day. 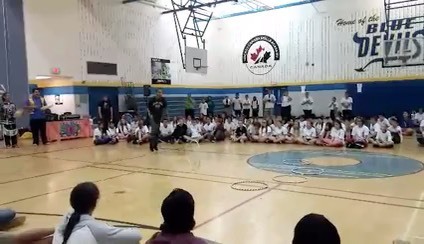 One of the special moments was when Tribal Vision welcomed Ascension for a demonstration of the Hoop Dance for the grade 7 and 8’s at McKinnon Park High School. Tuesday was just crazy as the grade 4 to 6 pen pals walked in the door dancing and didn't stop all day- great energy! The junior kindergartens to grade three’s couldn’t have been cuter trying on some hip hop moves and making faces for the photo booth. All those pen pal photos will come together to create a wonderful Two Row Wampum collective document! Bring on year 10! Tribal Vision welcomed Ascension for an amazing guest performance!